Mitutoyo does not sell parts directly to end users. It will be necessary to place your order through a dealer such as Long Island Indicator Service. Be advised that we can not offer refunds for parts you may have ordered in error, but we will issue store credit for returns. Important! Models made after 2016 will have -10 or -16 as a suffix. 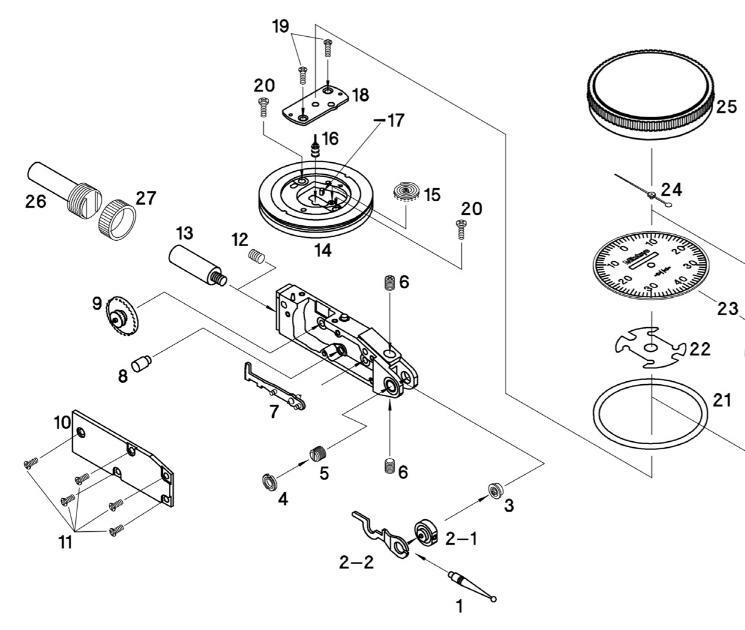 The parts are different from those shown on this page and not interchangeable. You can ignore any alphabetic letters at the end of model numbers. 513-442T uses the same parts as 513-442. If repairs seem unfeasible, you might want to consider replacing with a current Mitutoyo model or sending it to us for a professional repair. For indicator specs and additional information refer to page 93. Important: This page is for reference only. We are not selling spare parts at this time. *Hands (pointers) have a small hole that has to be press-fit over the shaft of the center pinion. For that reason, the holes are always a little undersize. You may find that reaming the hole with a very fine reamer is called for (see photo). 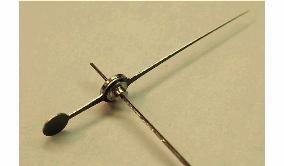 If you try to tap the hand onto the center pinion otherwise, you may end up breaking or bending the shaft. This is a task better left to pros with proper tools. In order to avoid accidental damage to the teeth on the crown gear, you should remove the body cover (#10) before removing the movement plate (#14). 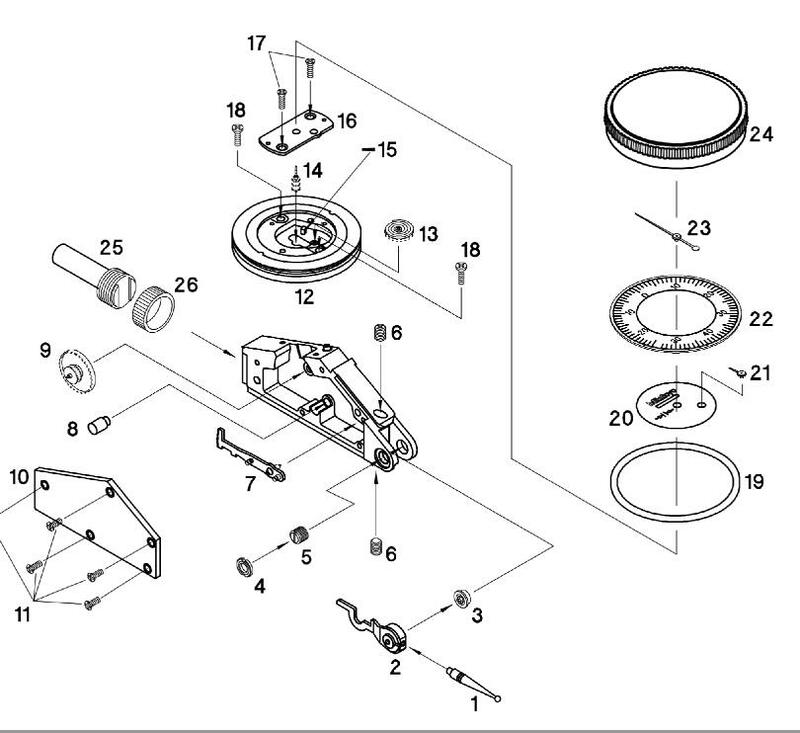 Refer to the repair manual for complete instructions.